Join our monthly book chat on Cries in the Drizzle by Yu Hua. Yu Hua��s beautiful, heartbreaking novel Cries in the Drizzle follows a young Chinese boy throughout his childhood and adolescence during the era of Chairman Mao. The middle son of three, Sun Guanglin is constantly neglected ignored by his parents and his younger and older brother. Sent away at age six to live with another family, he returns to his parents�� house six years later on the same night that their home burns to the ground, making him even more a black sheep. Yet Sun Guanglin��s status as an outcast, both at home and in his village, places him in a unique position to observe the changing nature of Chinese society, as social dynamics �� and his very own family �� are changed forever under Communist rule. With its moving, thoughtful prose, Cries in the Drizzle is a stunning addition to the wide-ranging work of one of China��s most distinguished contemporary writers. Yu Hua was born in 1960 in Zhejiang, China. He finished high school during the Cultural Revolution and worked as a dentist for five years before beginning to write in 1983. He has published four novels, six collections of stories, and three collections of essays. His work has been translated into French, German, Italian, Dutch, Spanish, Japanese, and Korean. 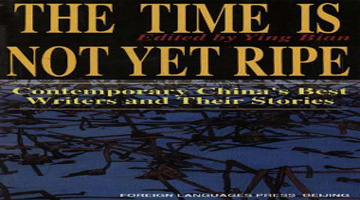 In 2002 Yu Hua became the first Chinese writer to win the prestigious James Joyce Foundation Award. His novel To Live was awarded Italy's Premio Grinzane Cavour in 1998, and To Live and Chronicle of a Blood Merchant were named two of the last decade's ten most influential books in China. Yu Hua lives in Beijing. Allan H. Barr is the translator of a collection of short stories by Yu Hua, and his research on Ming and Qing literature has been published both in the West and in China. He is Professor of Chinese at Pomona College.